Progressive new legislation, aiming at protecting senior citizens (+60), was promulgated in 2006 – The Older Persons Act (No 13, 2006). It aims to “Maintain and promote the status, well-being, safety and security of older persons; maintain and protect the rights of older persons; shift the emphasis from institutional care to community-based care, in order to ensure that an older person remains in his or her home within the community for as long as possible; regulate the registration, establishment and management of services and the establishment and management of residential facilities for older persons; and combat the abuse of older persons”. 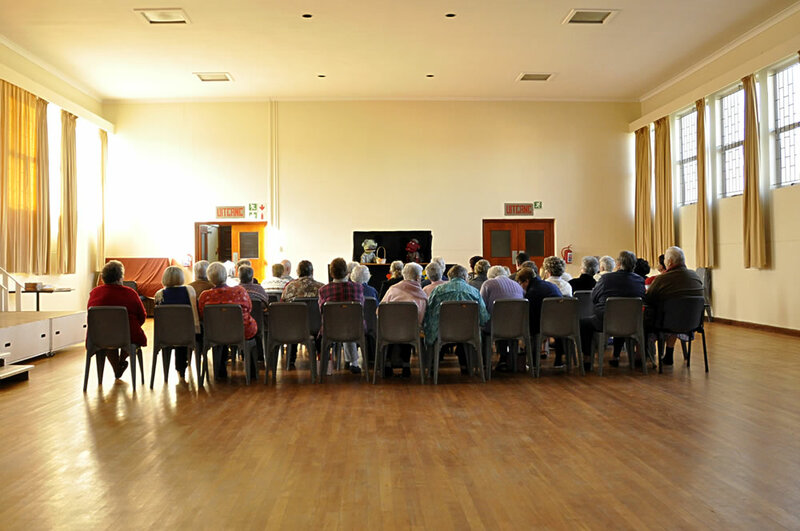 The Western Cape Provincial Department of Social Development (DSD) aims to relate the stipulations of the national Older Persons’ Act to the elderly in their communities by means of its provincial Active Ageing programme, and has contracted Umnyama to assist with this by means of puppet theater, workshops and research. An important part of the programme is to offer protection against elderly abuse and to encourage seniors to remain in their respective communities (as opposed to being placed in old age homes). 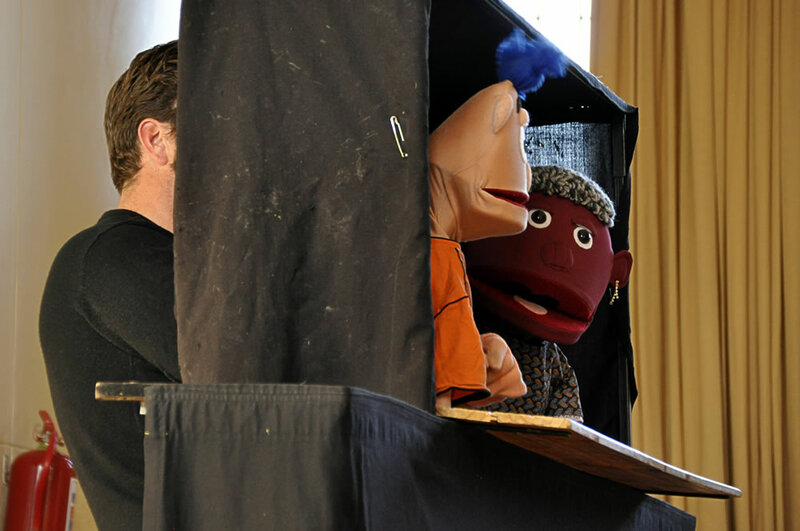 Umnyama, in collaboration with FOUKIDS, has been offering puppet theatre throughout the Western Cape – from Vredendal to Plettenberg Bay – since 2008. 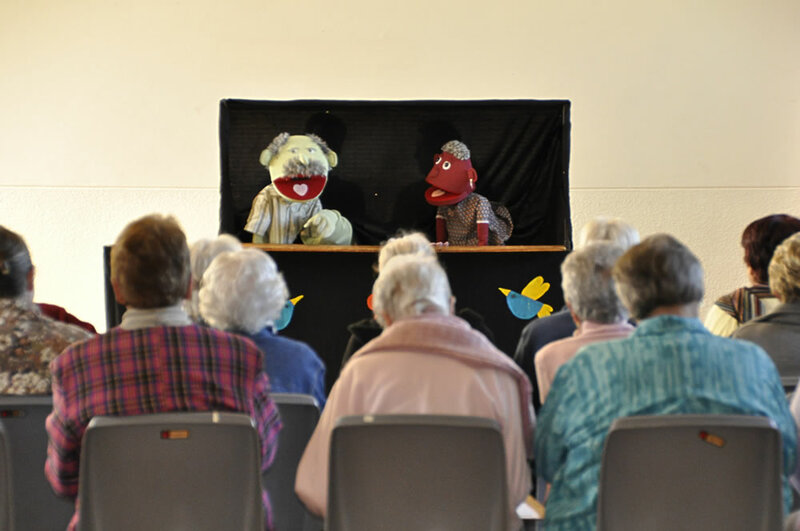 The puppet shows are a fun and playful way to introduce to (often illiterate) elderly the basic rights protected by the Older Persons Act. The puppet shows touch on subjects like Altzheimer, the wide scope of elderly abuse, prescription and over-the-counter drug abuse, HIV/Aids, grandchildren, budgetting and financial scams, etc., and end with a more in-depth talk about said issues. 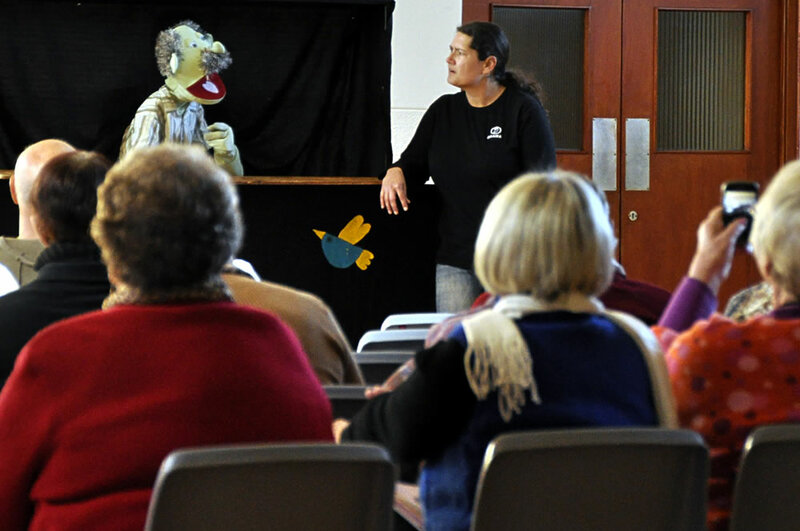 Each puppet show can accommodate up to 60 people.